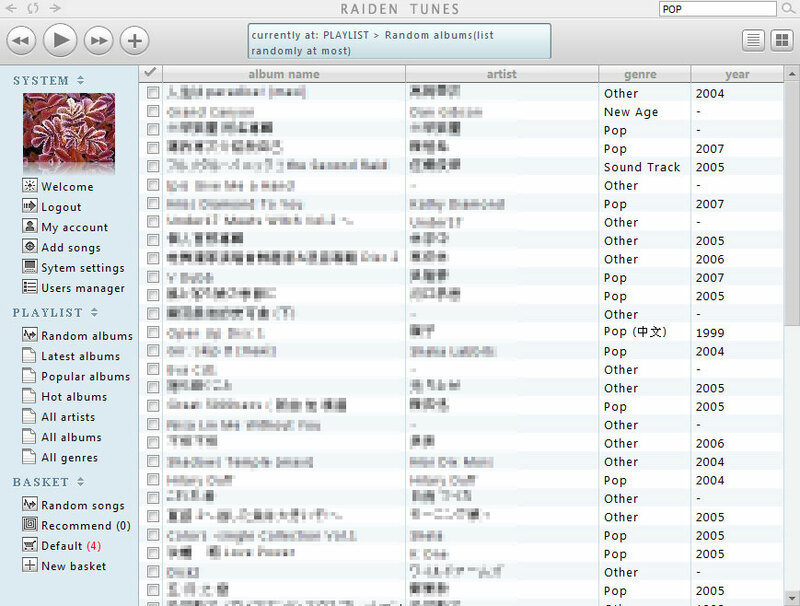 RaidenTunes MUSIC SERVER is a software that allows you to listen to your MP3/WMA music files from any place with a common web browser. 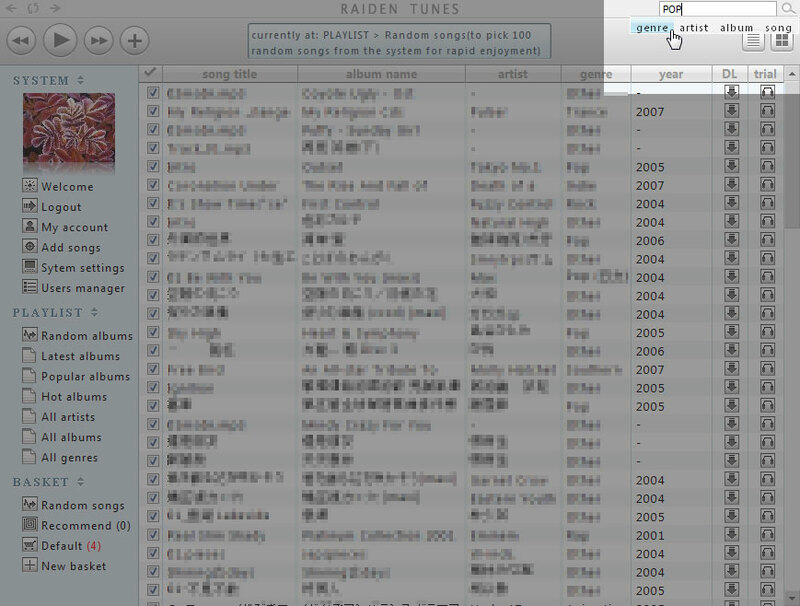 With RaidenTunes music server software, it immediately turns your computer into a web based juke box, you can browse for music albums, search songs in your music server, listen to them without using other music player software but only a web browser such as IE, Firefox, Safari, Chrome and even a PlayStation3. 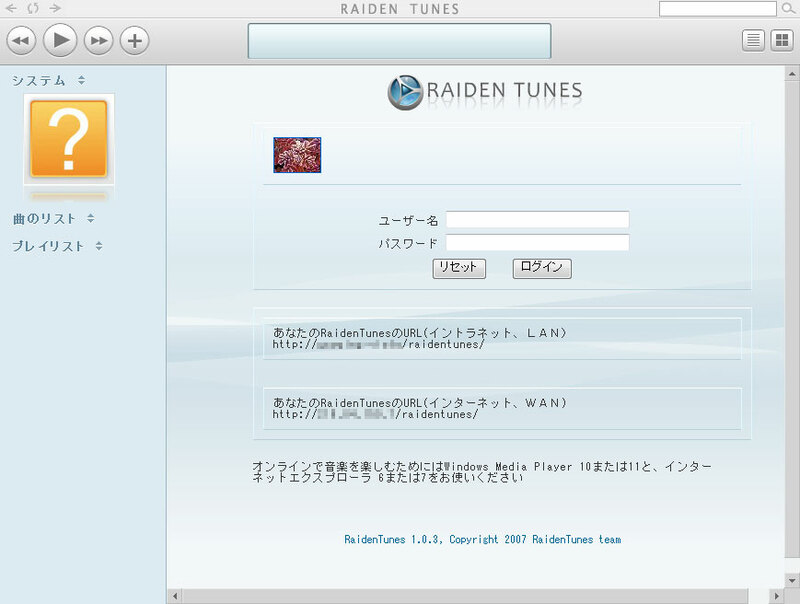 What is RaidenTunes music server? 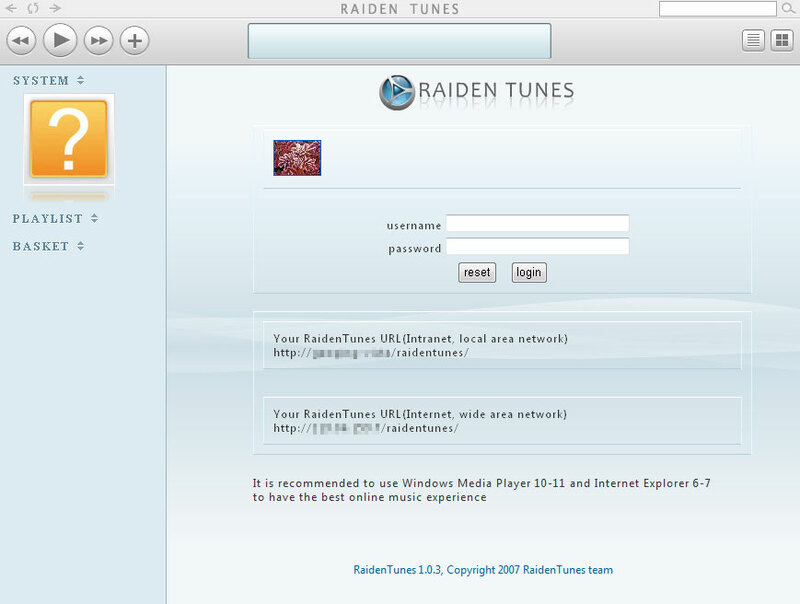 RaidenTunes is a Web server based MUSIC SERVER software that allows You to setup an online streaming music server quickly. It can scan the music folders in Your PC and organize them into a built in database, allowing users to connect to this server and browser/search and listen to the music securely. 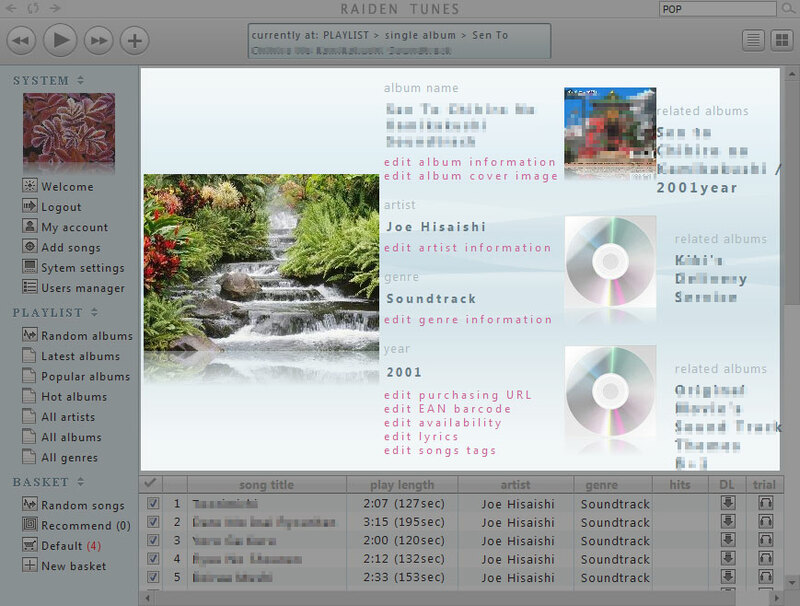 Interaction between users is also possible with built in message board for albums. There are a lot of handy features, try it and You will love it. 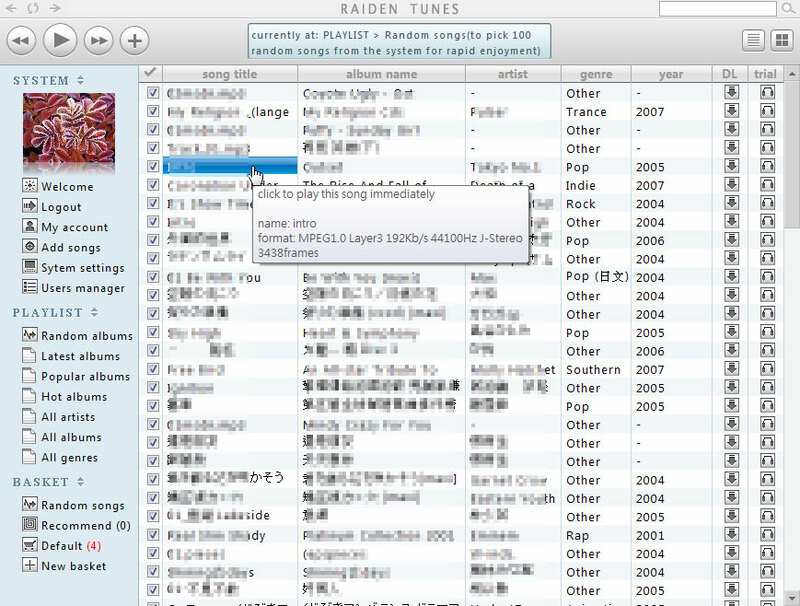 RaidenTunes music server organizes Your music collection and allows You to access them when You go out or are using another computer, no matter You are using a Windows PC or a Windows Mobile PDA/SmartPhone, RaidenTunes can work with web browsers on those platforms. So no matter where You are, You can access to Your music collection from anywhere without carrying them in the memory card. 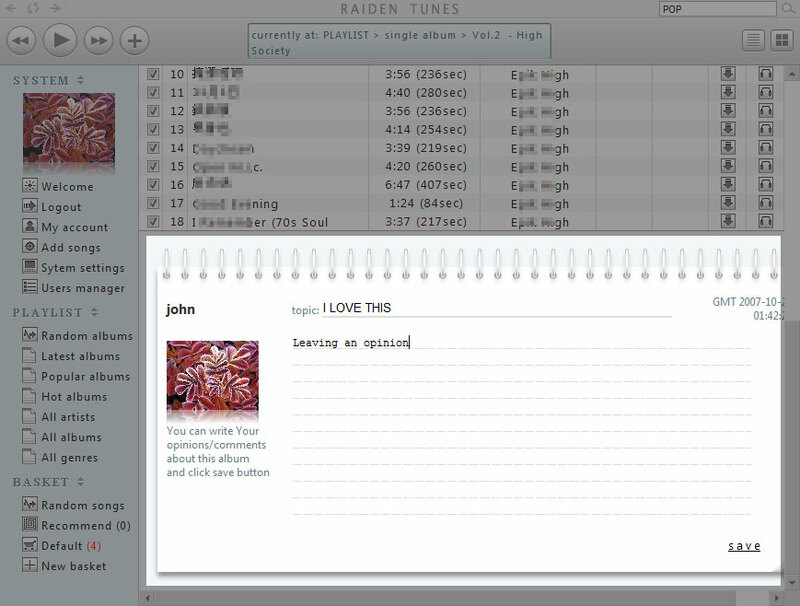 RaidenTunes isn't just a HTTP file server that only allows You to download a digital music file and listen to it, it can organize Your music files by artist, genre, album, date, displays the cover arts and lyrics to You if they are available in the folders. It's very convenient to use, just like the itunes or the windows media player softwares You are already using in the local computer. 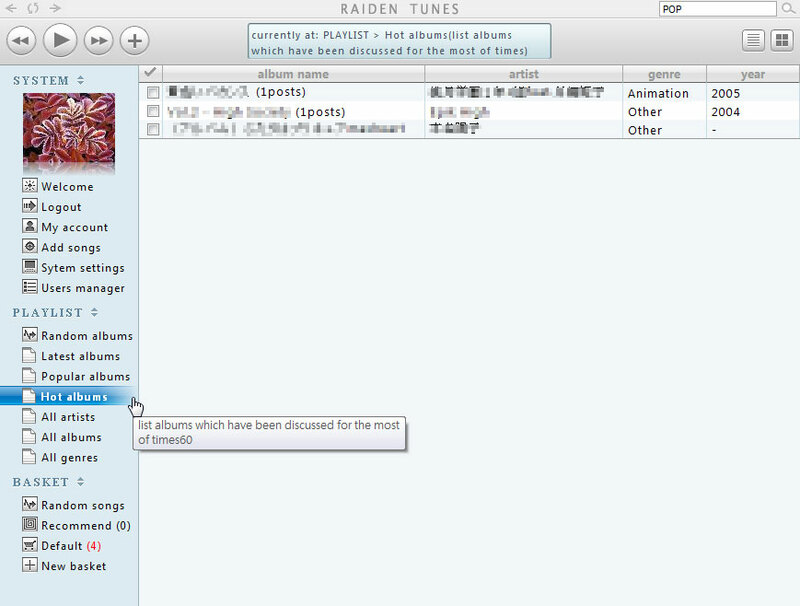 Organizing all of Your digital music with RaidenTunes music server, It supports MP3 and WMA audio files(with or without DRM), It detects meta tags in MP3 or WMA and imports them into a build in database so You can search them at anytime quickly. 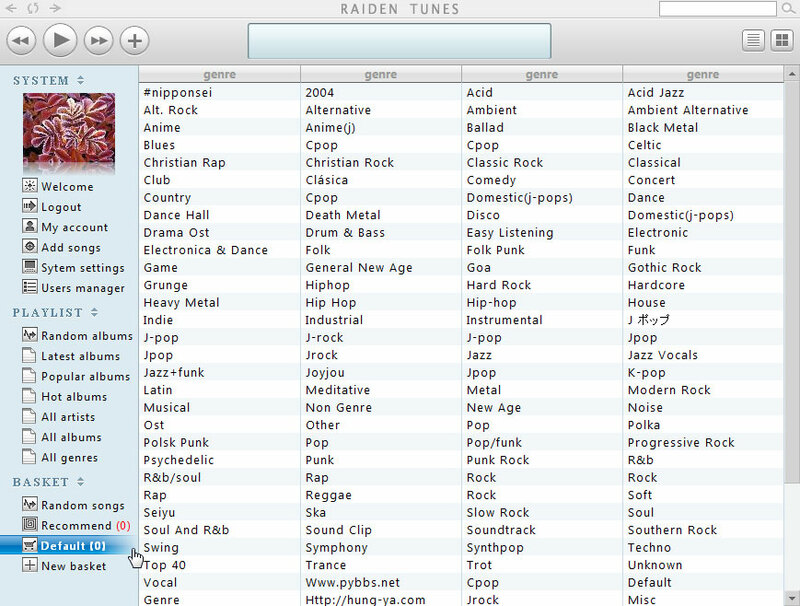 You never need to sort or rename Your music collection folders again, let the RaidenTunes do the job for You, All You need to do is to enjoy Your online music. 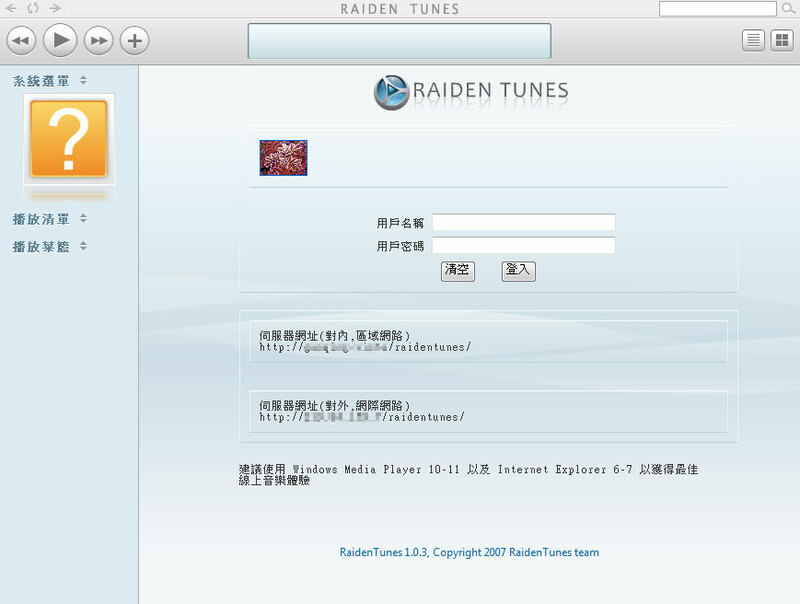 RaidenTunes streaming server is optimized for Windows PC and Windows Mobile PDA/SmartPhone using Internet explorer and Windows Media Player. The user interface is in English, Japanese and Chinese which will be changed according to user's browser settings automatically, So we tried to make Your users to be able to use this system as possible. 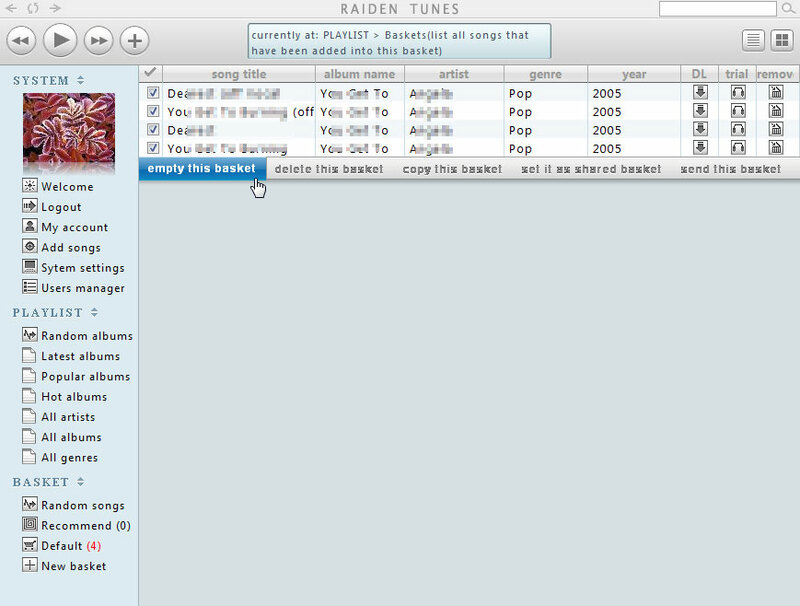 If You are a music creator, by using RaidenTunes, You can reach people from all over the globe.